“Do you guys know any Zombie movies?” I asked our students this morning. “Zombi Kampung Pisang!” one of the sisters replied. “What are the similar characters you realize among those Zombies?” I continued asking them more questions. The students did not respond immediately. They took few minutes to reflect. Asking them to provide you with facts, most likely you will get what you expected. But when you ask them to share some simple hypothesis, the speed of response will decrease. Analyzing involves thinking. And after many years involved with students, and even my own kids, I have to say that thinking is a huge challenge and the scenario seems worsening from one year to another. I told our students during my first session with them this morning that their parents must have some ideas on why they want to spend a huge amount of money sending their kids to a school which the fee for one student could be like 1000 times more expensive than having their kids at public schools. And not all the parents are rich. I know some of them struggle very hard to afford their option sending kids to our school. I want the students to reflect their parents’ idea on education. What is wrong with our public education? 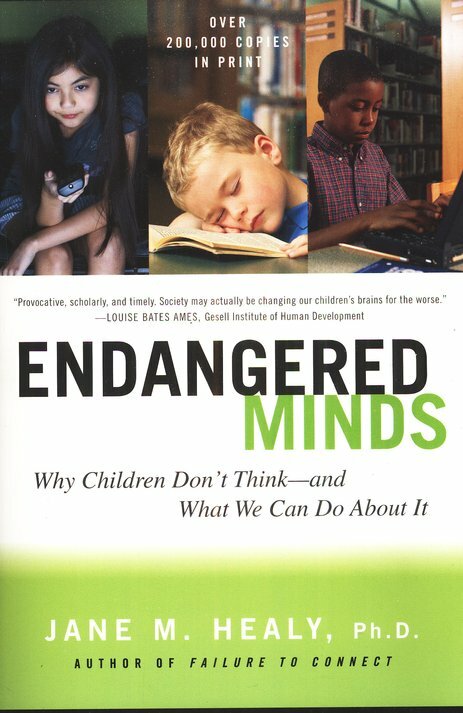 I shared with them an important questions I found when reading Jane M. Healy’s Endangered Mind: Why Children Don’t Think – And What We Can Do About It? recently. The standardized education in public schools ignores the fact that children’s brains might be so significantly changed by contemporary culture as to be increasingly maladapted to our traditional notions of “school”. This has been described by Jane M. Healy in length. Introducing or perhaps enforcing ‘critical thinking’ or ‘high thinking order’ module while the brain itself is injured and remain untreated, is far from answering the real problem we have. When you talk to students, you hardly feel that you are connected to them. As if you are talking to Zombies! Alhamdulillah in this country, as far as I concern, we haven’t reach the level where Ritalin is easily prescribed to control brain activities. But I think we are not distance away from that. Before the class even begin, our students now are in fact surrounded by fast–paced visual stimuli (TV, videos, computer games) at the expense of face-to-face adult modeling, interactive language, reflective problem-problem solving, and creative play. They are expected to arrive at school unprepared for academic learning, fall farther behind and become increasingly “unmotivated”as the years go by. The injured brain and the unmotivated soul among our students create a huge market for self help industry. But it makes everything worse. The short term changes pacify and lead us believe that we did well at helping them. But based on my first hand experience conducting hundreds or perhaps thousands of motivational courses, I know that there is something wrong, inside the skulls, and I am too illiterate to connect neuroscience to education. Popular psychology does not answer my concern. It has to go deeper. I don’t want to cheat or be cheated. Our students are drowning and education need fundamental reconstructions. We cannot blame the students for not being able to think. They are sick, and the sickness remained misunderstood. “Here in this school, we are trying very hard to prevent you from being Zombies. We need you to remain conscious, alive, becoming superheroes and save the nation for Zombies. Therefore you will experience war on brain aggressively launched in consistence” I told them. How I wish all parents have the strength, not to think too much on their children’s grades. But I understand that educating the parents themselves is nevertheless as tough as educating the students. The vicious cycle must be stopped.